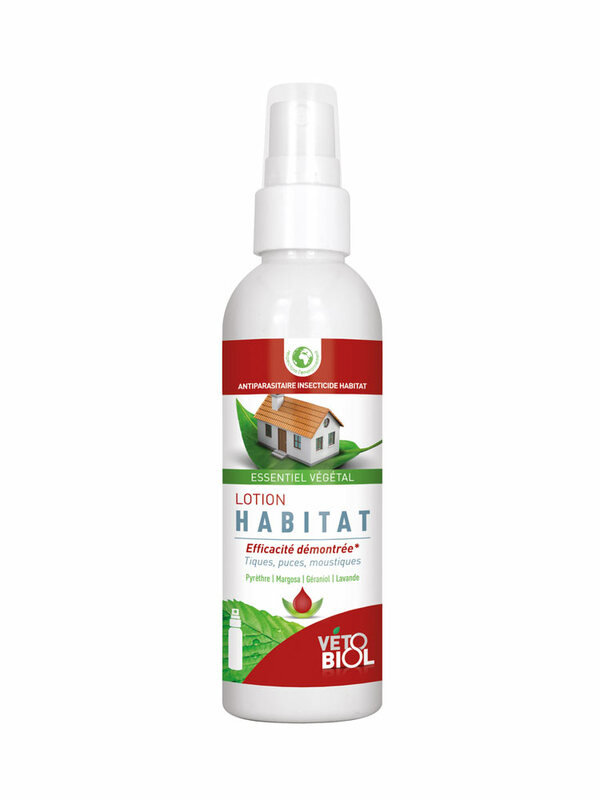 Vétobiol Home Lotion 100ml is an insecticide lotion for home based of actives of vegetable origin. 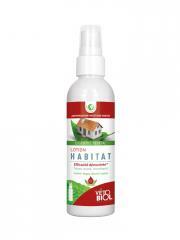 This lotion protects your home from infestation of acarides, spiders, cockroaches, antes, moth, ticks and mosquitoes. Its action is immediate and prolonged up to 25 days. Do not apply on animal. Shake well before use. Spray the product directly on the all surfaces (Tissus, sofa, pillow, tiles). Use as often as necessary. Treat the environment after each cleansing. Do not stain. Indication: Insecticide lotion for the habitat. Actifs Biocides : Pyrèthre* (7 g/L) CAS N°8003-34-7, Margosa Extrait* (1 g/L) CAS N°84696-25-3, Géraniol* (1 g/L) CAS N°106-24-1, Lavandula Hybrida* (0,5 g/L) CAS N°91722-69-9.